Stream anime episodes online for free, Watch One piece Episode 17 English version online and free episodes. Anime Episode guide One piece Episode 17 English dubbed The Cat’s Ninth Life Kuro’s ultimate attack, “Shakushi”, attacks everything in the area, whether friend or foe, and Luffy becomes enraged by his lack of regard for his crew. Luffy manages to catch Kuro by binding his limbs and headbutts him with Gum Gum Bell, while Usopp shoots Jango with an Exploding Star, saving Kaya. Usopp convinces Kaya and the Usopp pirates to keep the incident a secret in order to enable the village to stay peaceful. 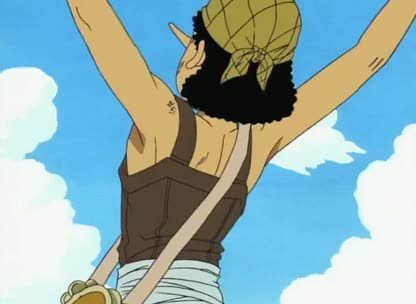 Kaya gives the Straw Hats the Going Merry as a gift, and Luffy invites Usopp into the crew, having befriended him.